This is — to use the tactful word — interesting: while scanning this link, it is obvious during the Charles Lindbergh portions of this historical write up that the National Park Service decided not make any references to Chuck rubbing elbows with Hermann Goering, this latter jerk being the one in charge of the NAZI Luftwaffe. Nor does the NPS let us know of Lindbergh’s publicly shady side here. Wikipedia (an increasing source of collective intelligence), however, had no trouble with showing how Lindbergh himself adhered to racism, and also referencing and providing a digital photo of it. These truths will not somehow undermine the objective (though perpetually elusive) of pushing toward the democratic-republican ideal of an engaged citizenry. This ideal can only come about by incessantly challenging us to actively grapple with the realities of history rather than having us passively accept nostalgic national interpretations which are on par with the chicken soup for your soul sections at your local bookstore (rant alert!). I digress. NPS: please feel free to add a sentence or two in the national web site write up on Charles. We are adults. We can handle it. In late December 2011, I visited the Charles Lindbergh home in Little Falls, Minnesota, snapped a photo of it, and of the public history signage as well. See below photos. 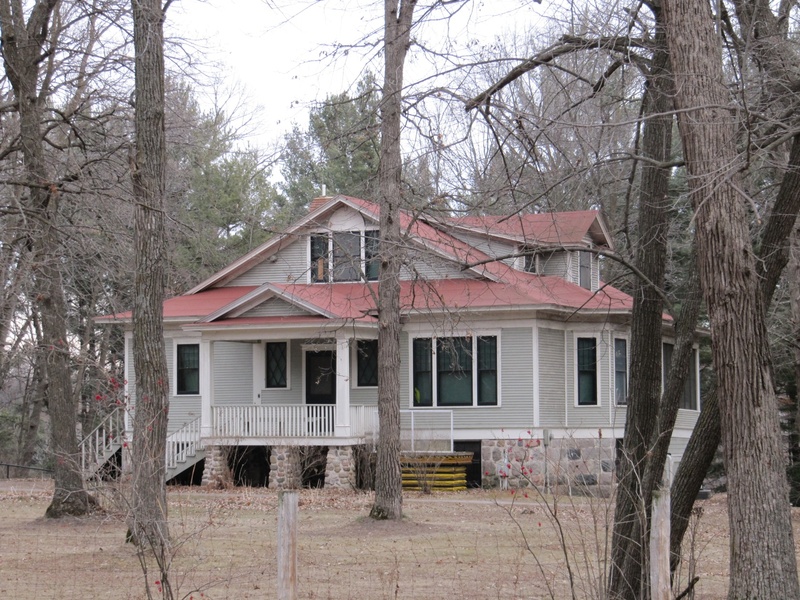 A photo of the Charles Lindbergh home in Little Falls, Minnesota, taken in late December 2011. 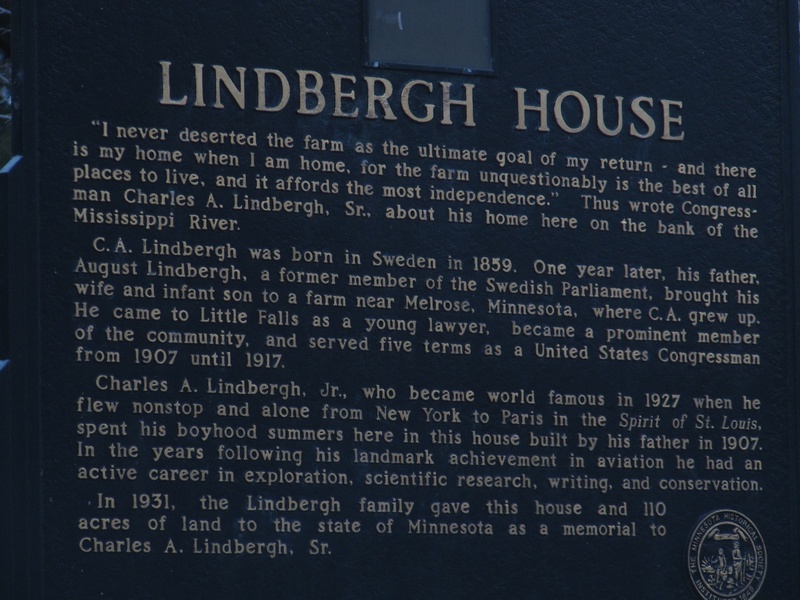 The public history signage at the Lindbergh Home in Little Falls, Minnesota. Note how there is no reference to Herb Goering in this signage. This entry was posted on Wednesday, March 7th, 2012 at 10:43 pm	and posted in Uncategorized. You can follow any responses to this entry through the RSS 2.0 feed.